Mozart meets Latin jazz! 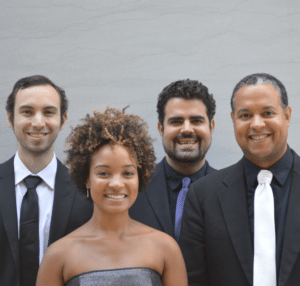 LiveConnections presents Harlem Quartet collaborating with Latin jazz percussionist Arturo Stable. 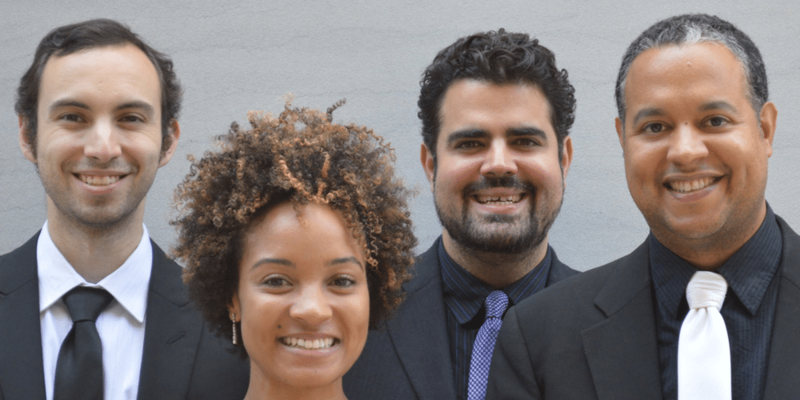 Committed to advancing diversity in classical music, Harlem Quartet specializes in varied repertoire that includes works by minority composers as well as classical mainstays. 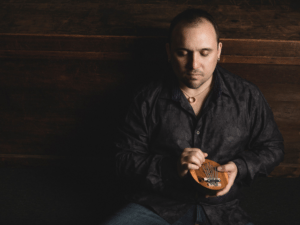 For this concert, LiveConnections has commissioned Stable to write new music for the Quartet based on the rhythms and sounds of his native Cuba. The program also features works by Mozart and Cuban composer Guido Gavilán. “These aren’t your typical collaborations. LiveConnections creates synergy between … unlikely bedfellows” (Philly Mag Ticket). The LiveConnections Presents concert series features six curated concerts annually, showcasing adventurous collaborations, new commissions and world premieres, and the best boundary-crossing music around. LiveConnections is a nonprofit in residence at World Cafe Live. HARLEM QUARTET, praised for its “panache” by The New York Times, is “bringing a new attitude to classical music, one that is fresh, bracing and intelligent,” according to the Cincinnati Enquirer. The quartet’s mission is to advance diversity in classical music, engaging young and new audiences through the discovery and presentation of varied repertoire that includes works by minority composers. Since its public debut in 2006 at Carnegie Hall, the New York-based ensemble has performed throughout the U.S., including a 2009 performance for President Obama and First Lady Michelle Obama at the White House, and has appeared in France, the U.K., Belgium, Panama, Canada, and South Africa. In addition to performing on chamber-music series around the world, Harlem Quartet has collaborated with such distinguished performers as Itzhak Perlman, Ida Kavafian, Carter Brey, Paquito D’Rivera, and Misha Dichter (with whom the quartet made its Kennedy Center debut in February 2013). Harlem Quartet has also worked closely with jazz legends Chick Corea and Gary Burton, partnering with them in a 25-city “Hot House” tour and CD project. The Quartet was featured on Corea’s “Hot House” album, which won Grammy Awards for Best Jazz Album and Best Instrumental Composition. Harlem Quartet is managed by the New York City-based firm Sciolino Artist Management. Quartet members include Ilmar Gavilán, violin; Melissa White, violin; Jaime Amador, viola; and Felix Umansky, cello. Learn more at http://harlemquartet.com. ARTURO STABLE. “Versatility, good taste, sense of the right volume, timing, and compositional skills are rare attributes to most contemporary percussionists. Arturo Stable has got those and much more,” says legendary saxophonist Paquito D’Rivera. In the vanguard of Latin jazz’s most talented young exponents is Arturo Stable, an energetic, resourceful and innovative free spirit whose broad range of talents defies easy categorization. Stable was born in Santiago de Cuba, the cradle of the island nation’s most important center of culture and home of such elemental music styles as the Guajira and Son. He later relocated to Puebla, Mexico, where he polished his skills as a percussionist working as a sideman, performing everything from Latin jazz to rock and traditional Latin styles. Stable received a scholarship to study at the Berklee College of Music, where he earned a degree in contemporary writing and production; he also holds a master’s degree from the University of the Arts in Philadelphia. Stable was part of the 2013 Grammy-winning album “Money Jungle” (Best Jazz Album) by drummer extraordinaire Terri Lyne Carrington. He has performed and recorded with such illustrious leaders as Esperanza Spalding, Paquito D’ Rivera, Miguel Zenon, Dave Samuels, Jane Bunnett, David Sanchez, Victor Mendoza, Lionel Loueke, Lincoln Goines, Giovanni Hidalgo, as well as with the Caribbean Jazz Project and the Philadelphia Symphony Orchestra. Stable has been granted with several writing commissions, among them: “Suite Ominira” by the Puebla State Symphony Orchestra (Mexico 2007),” A Weatfield on a Summer’s Afternoon” by the Philadelphia Museum of Art (String Quartet & Jazz Quartet 2011), “Suite Busqueda” for Big Band by the University of the Arts Kerber’s Big Band (2013), and Saxophone Quartet #1 by the New Jersey Saxophone Quartet (NJ 2014). 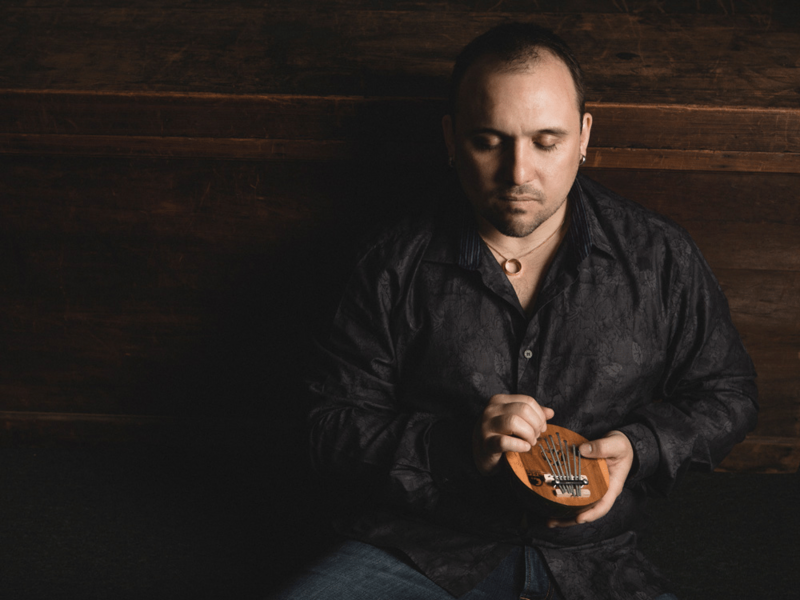 Arturo is curre ntly endorsed by Meinl Percussion and is the Chair of the Hand Percussion Department at the University of The Arts in Philadelphia. Learn more at http://arturostable.com.